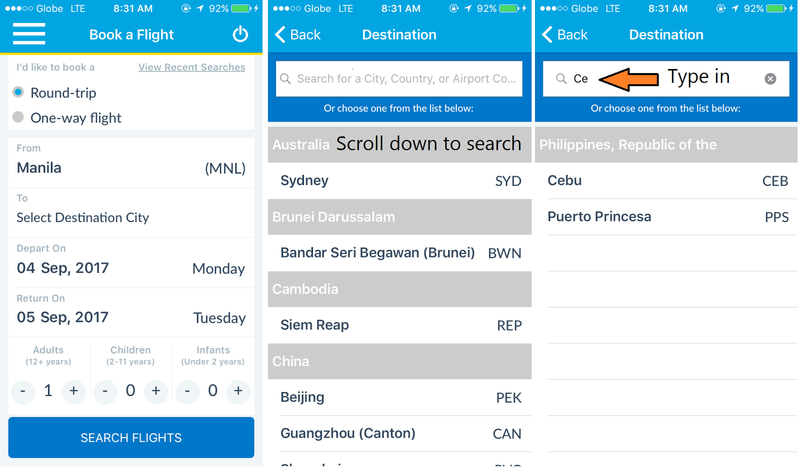 Who has received a notification about the latest Cebu Pacific app? If you haven't then please take time to download the lastest version and delete the old one. Download link here for Android and here for iOS. Now new app, new look and new feel. Here's a few fool proof way in booking that app and being a master at it. It took me awhile to figure it out but it has helped me get the latest and cheapest deals in a touch of a button. After downloading the app, you can go ahead and launch it. 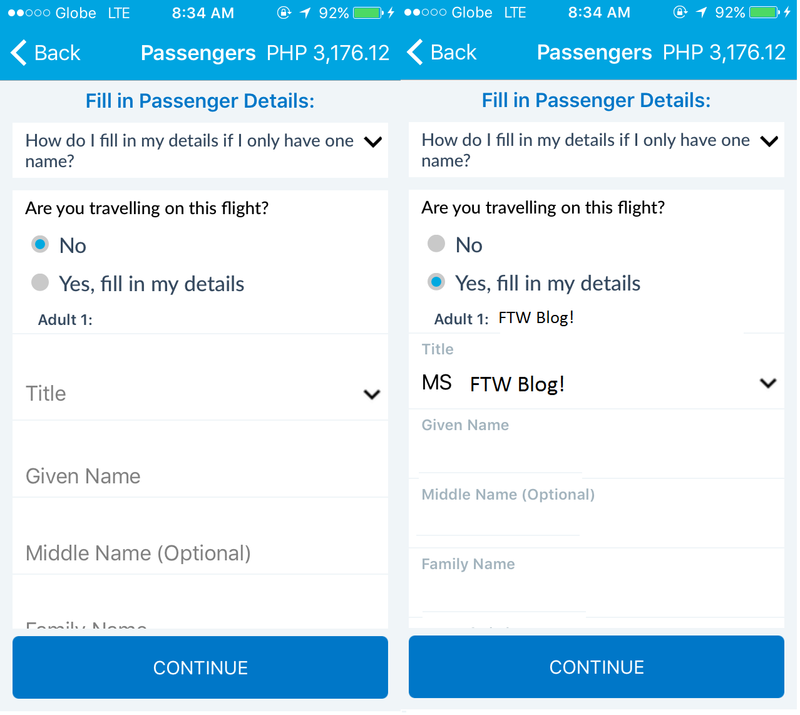 You can login as guest or you can just make it easier by adding your Cebu Pacific Get Go Member ID for lightning speed transaction. After logging in, you can head to the My Profile tab and update all necessary information: profile, payments which allows you to add card details and lastly documents for passports. Let's go ahead and book that flight! The user interface is pretty straightforward, I like how it's clean minimalist look to it and no adds too! 1. Round trip? One way? 4. Confirm by clicking Select Flight at the bottom. 5. Fill in passenger details: Guest login will require you to type in the details for those who logged in you can select the Yes, fill in my details option! Saves you tons of typing time! Once completed, hit on Continue. 6. Personalise the flight! This is where you would find baggage, meals, seat selector and insurance. I prefer to not have any. Check the photos on how to remove all unnecessary expenses. 8. Finally review and confirm your flight then continue over to payment. 9. Payment options allow you to use Credit Card (you can add your debit the system will take it too) and Payment Centers. 10. Confirm that flight and spread the good news!